For those who appreciate the beauty of fabrics, the art of fine stitched patterns, the beautiful art of quilting, this store was created for you. 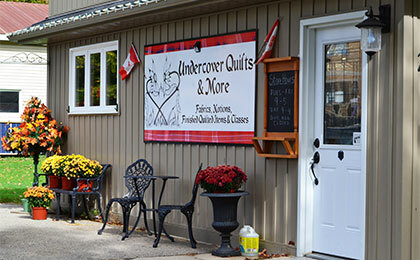 Just one block beyond the centre of Fergus, the Undercover Quilts and More has all the sewing supplies and tools, from threads and fabrics to finished pieces. The location also features a classroom for workshops, classes and other special events. Book in and get quilting.